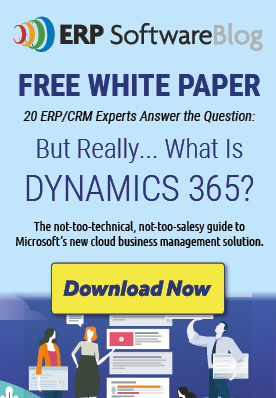 Comments Off on Why Microsoft Dynamics 365? 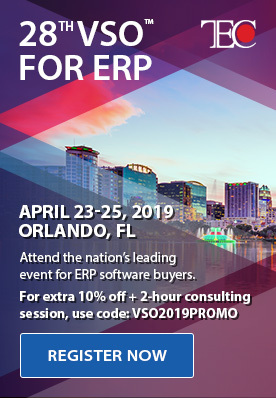 If you see any value in the innovation and solution development that Microsoft and its Dynamics partners have done in the areas of ERP and CRM solutions, and if you are aware of the opportunities in cloud computing, give some thought to Microsoft Dynamics 365. This platform delivers advanced Dynamics functionality on one of the world’s leading cloud infrastructures. Microsoft Dynamics 365 offers in the Microsoft Azure cloud what used to be distinct ERP and CRM capabilities. The needless barriers between them disappear. You can implement separate apps or workloads, adding and integrating others at the right time. Each of them works perfectly well on its own, but together, they help you transform your business for digital operations and a more connected, faster-moving response to customer needs. If you already run Microsoft Dynamics AX or Microsoft Dynamics CRM, you can move some or all of these systems’ computing workloads to the cloud and benefit from automatic upgrades, integrated functionality, unlimited scalability, and reliable performance under the most challenging circumstances. As you work with Microsoft Dynamics 365 apps, you benefit from the foundation Microsoft has built for the Azure cloud – a global network of data centers; many layers of powerful security for facilities, hardware, and applications; and a variety of proven, easily implemented cloud architectures. And, all of these resources are available to your business without incurring a huge upfront investment, because Azure cloud services come to you in form of a flexible, economical, pay-as-you-go subscription. Azure frequently receives high marks from analysts and cloud experts because of its strong support for hybrid environments, where companies connect cloud-based and on-premise computing in a unified environment. For most of our customers’ applications and usage scenarios, the hybrid cloud is the best choice. More often than not, it makes best sense to keep some workloads on-premise and transition others into the cloud. Having put the resilience, elasticity, and integration capabilities of Azure to the test many times for a great variety of customers and business models, we can confirm their effectiveness beyond any doubt. What you accomplish in the cloud all depends on your goals and interests. If you find that simple tools that facilitate post-fact reporting are no longer timely and powerful enough, you can take advantage of the analytics and business insight capabilities on the Azure platform: Power BI and the Cortana Intelligence Suite help you answer your questions and shape your strategy. In the cloud it’s also easy to connect various data sources, such as your finance, operations, and sales systems, with data from connected sensors in the internet of things (IoT), which tell you about such events as the performance of equipment and machinery or the environmental conditions in your warehouse. Microsoft Dynamics 365 integrates fully with Office 365, enabling contributors to work within a unified, consistent software environment that they can access from any device and any location where connectivity is available. Integrating with other Microsoft products is also seamless. Supporting and surrounding Microsoft Dynamics 365 are many apps created by the partners for various industry-specific and other requirements. Many Columbus solutions are already certified for Microsoft Dynamics 365 and others are going through the process. You can refine and evolve your cloud-based infrastructure with industry, integration, productivity, and business process management solutions and still keep your costs low and IT administrative requirements minimal. At Columbus, we have developed a science of controlled, low-risk cloud deployments that meet your business needs and deliver solution benefits quickly. Take a look at our fun animation if you would like to get a better sense of how we can support your business transformation in the cloud. We start by reviewing your operations and processes, so you don’t repeat current inefficiencies in the cloud. Harnessing our many years of industry, technical, and cloud expertise, you can rapidly reach your objectives and ensure the long-term viability and strengthen the competitive advantage of your company. Posted in About Microsoft Dynamics 365 for Finance and Operations, About Microsoft Dynamics AX, Dynamics ERP for Distribution, Dynamics ERP for Food and Beverage, Dynamics ERP for Manufacturing, Hosted/On Demand/SAAS/Cloud | Comments Off on Why Microsoft Dynamics 365?